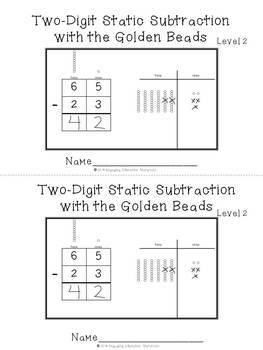 This second level requires students to complete two-digit static subtraction problems (no regrouping). 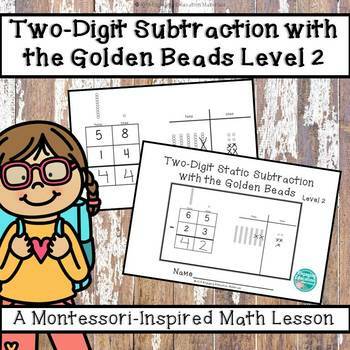 Students build the top number (minuend) using the Montessori golden beads and draw each minuend on the place value charts provided. 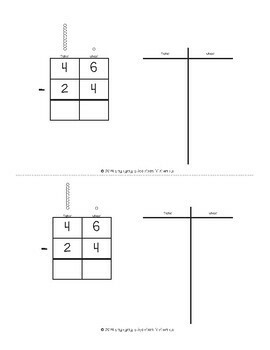 Students then subtract the bottom number (subtrahend) to find their final answer (difference). 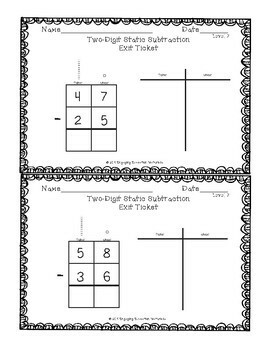 Students show this subtraction process on their recording booklets and record their results. Each half-page booklet contains a cover page and 8 problem pages. In addition, a lesson exit ticket is included!